Sync up your party with neighborhood events. Elizabeth planned her party to coincide with the Long Beach East Village Second Saturday Art Walk, which is the perfect draw for curious art walk goers who wondered what the red carpet (and velvet rope and bouncer, who were all positioned outside the doors) and hubbub was over at the salon. It also gave me the perfect excuse to bring along some friends, who, if they happened to lose interest in the salon, could easily check out the street festival and galleries instead. Carry a memorable theme throughout, preferably one that will continue to relate to your salon after the party ends. 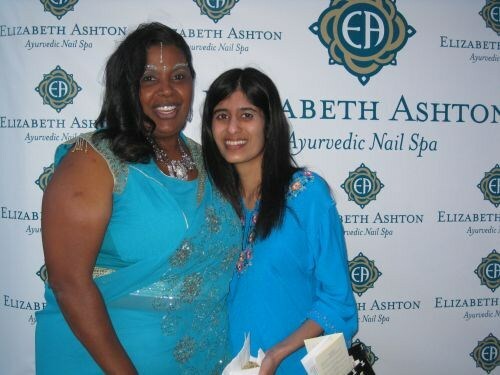 Since this nail salon practices ayurvedic principles — a Sanskrit term meaning “science of life” and referring to a wellness philosophy that originated in India — Elizabeth (left) wore an Indian sari and had several different Indian snacks (catered by Long Beach’s Moon Dance Catering) available to guests. Have an organized method for letting party-goers sample your services. 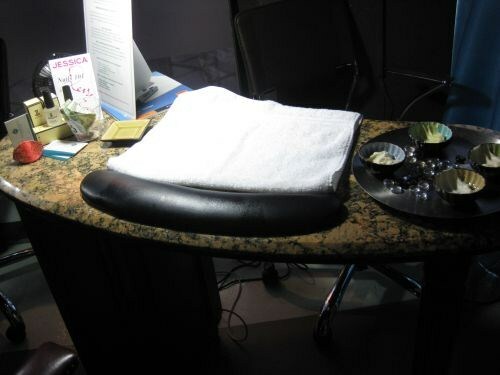 The salon was offering sample chair massages, mini-hand treatments, and henna applications (to go along with the Indian theme), and had a sign-up sheet at the door for each of these treatments. I’d even say that it would be a good idea to hand out timed tickets for each service, so attendees know exactly when to stop by the appropriate table and can use the time in between to mingle without worrying about losing their place in line. Organize short group events to keep the momentum going. 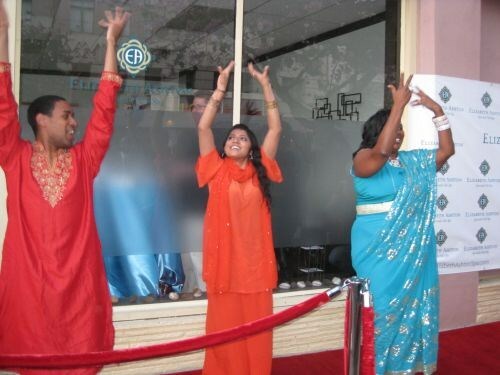 The party included a ribbon cutting, Bollywood dancers who got the crowd moving, a poetry reading, and a cake cutting. It’s probably also a good idea to pass this schedule out to attendees at the door, so they don’t miss a fun event. Give clients something small to take home. We each received a Jessica Cosmetics-branded goodie bag (the salon retails the line) that included a 0.25-fl.-oz. Jessica top coat, a salon menu, and a coupon for $20 off a massage at another local salon (Elizabeth’s salon doesn’t offer body massages). 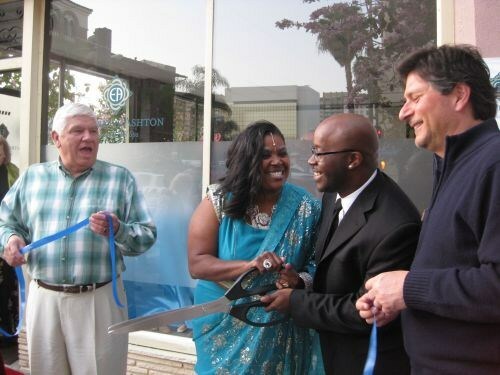 It would also work to partner with neighboring businesses — coffee shops, clothing stores, etc. — with a similar clientele to include coupons for their businesses in your goodie bags, which might result in an impromptu visit to your salon as well. What other party tips would you add to this list?